Regardless, I completely agree with the cartoon. 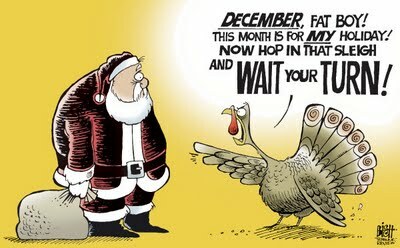 I’m tired of stores trying to skip over Thanksgiving. Almost as tired as I am with people forgetting that the holiday is about giving thanks, not binge eating.